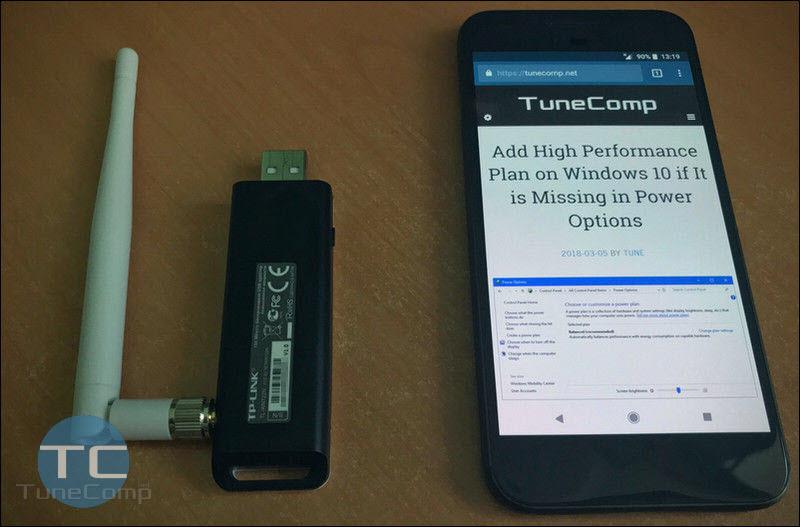 Sometimes friends ask me “Is it possible to use my Android instead of a USB Wi-Fi adapter/dongle?” Such question arises especially often when it goes about connecting your desktop PC which doesn’t have a wireless network card to the Internet. Another situation is when the Wi-Fi module inside your laptop is broken. In one of our previous posts we wrote about how to turn your Android device into a wireless router to share its mobile data over Wi-Fi. But what to do if your PC doesn’t have neither a Wireless card nor even a dongle? We don’t try to encourage you to using your Android phone as a network adapter on a daily basis. But you can use this scheme as a temporary solution before you buy a wireless network card or a dongle for your desktop computer or lay an Ethernet cable. The phone is constantly charging so it won’t suddenly turn off because of the empty battery. You can connect your computer to the Internet both via Wi-Fi network and mobile data. Note that if you use your Android as a mobile hotspot you can’t connect your phone to Wi-Fi because the Wi-Fi module is working as an AP instead of a client mode. It goes without saying that this feature will be helpful on desktops rather than on laptops (except situations when your notebook’s wifi module is out of order). 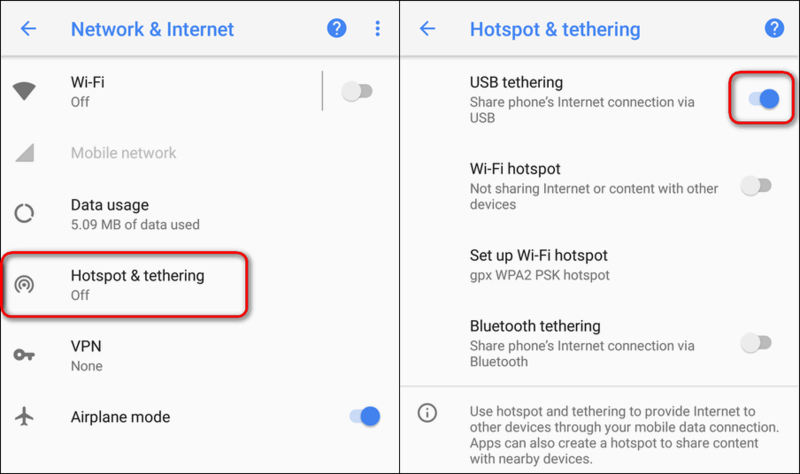 Go to Settings → Network & Internet → Hotspot & tethering. 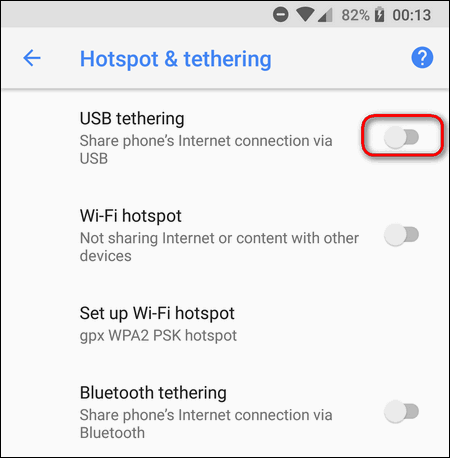 Enable USB tethering: Note that the toggle will stay inactive until you connect the phone to the computer with the USB Cable. If you want to connect your computer to the Internet of your mobile carrier, just Turn off Wi-Fi on Android and make sure that Mobile Data is enabled. In this case your PC will use mobile data. That is pretty much all you need to switch from ‘Wireless adapter’ functioning mode to ‘LTE/3G Modem’ mode. 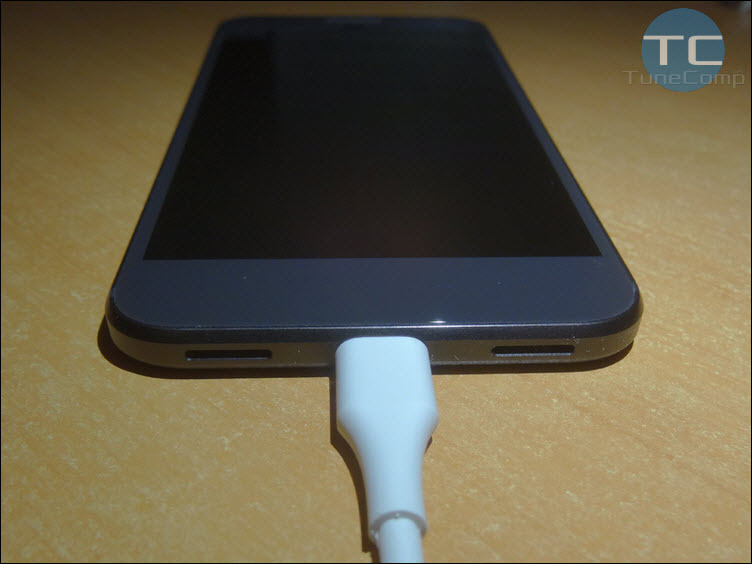 What feature do you use more often on Android phone or tablet: USB tethering or Mobile Hotspot?